GRIA holds an Adopt-A-Lot license with the City of Baltimore Housing Department to use the lot at 2701 Sisson Street for community open space. 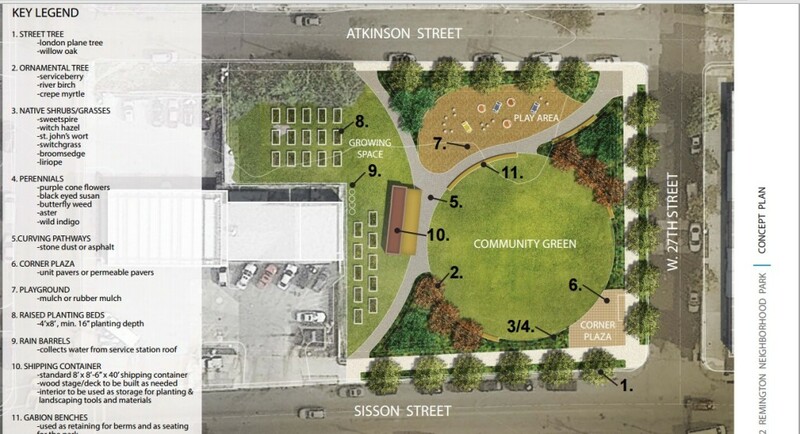 After a public outreach period where GRIA collected input via surveys from over 60 neighbors, we moved forward with designs for the lot that accommodates a children’s play area, open grass, stage, seating, and community garden space. The Neighborhood Design Center / hord.coplan.macht has been our partner in creating the designs. Click here to view the presentation about the Sisson Street Lot community input process. Click here to view the design options presented to the community. Click here to review hord.coplan.macht’s beautiful renderings in the full design report. 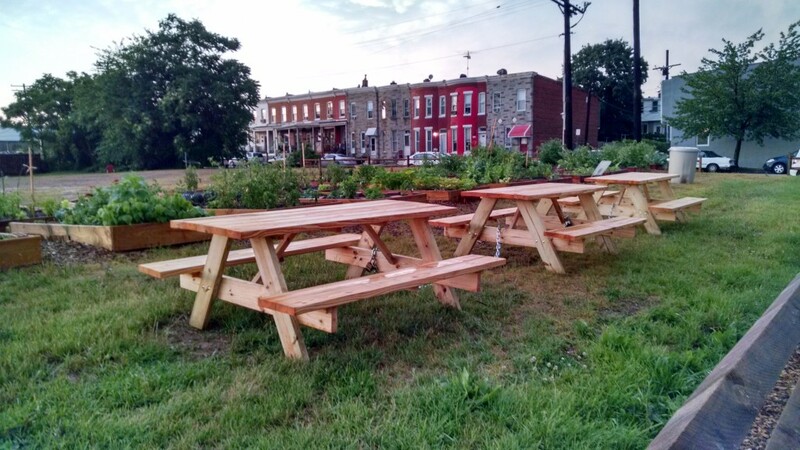 In 2015, GRIA received a Spruce Up grant from the Central Baltimore Partnership for $13,000! This funding will be used to make the vision for the lot a reality by purchasing soil, installing irrigation to the community garden, creating a children’s play area, and making a green lawn for community gatherings! 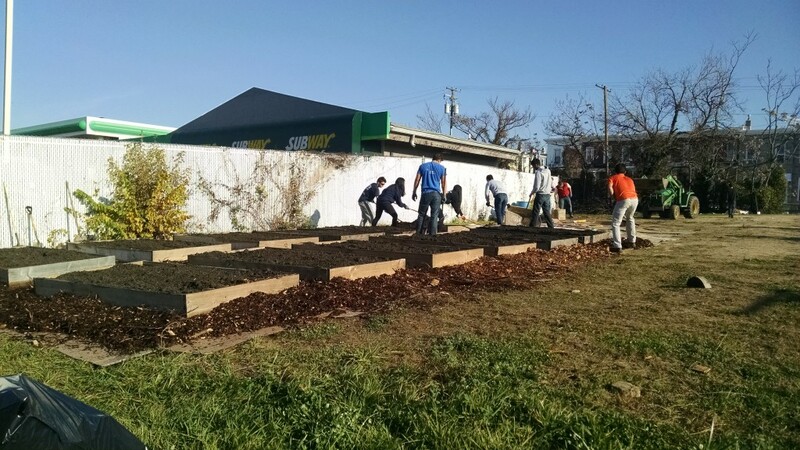 Want to garden at the lot? We have 25 raised beds for community members to adopt. E-mail info@griaonline.org to be added to the garden waitlist or talk with us at the monthly meeting. We need assistance cutting the grass, caring for the fruit trees, installing ornamental flowers and trees, and spreading mulch and compost. E-mail info@griaonline.org to be added to the volunteer e-mail list or talk with us at the monthly meeting. We often host community events at the lot, such as yard sales and community gatherings. If you have an idea for an event you’d like to host, contact us! Check out the progress of the community gardens and public seating area! 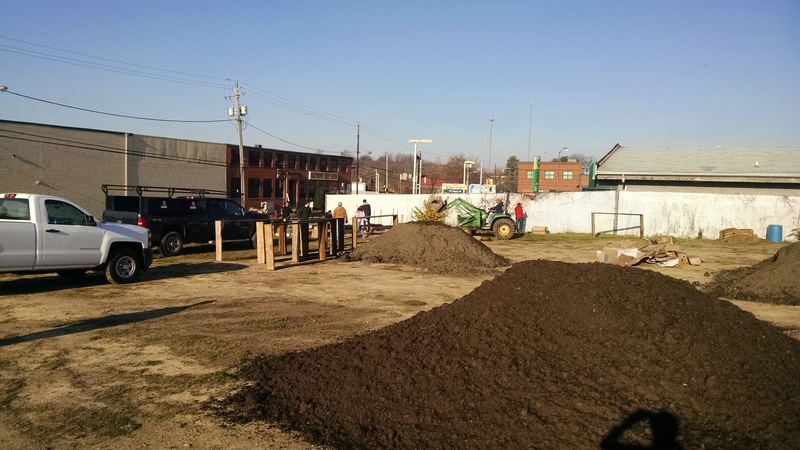 December 6, 2015 – Community volunteers worked to shift the garden beds to the back of the lot and spread 20 yards of compost on the future green space! Thank you to Alpha Kappa Psi at Johns Hopkins University for their tremendous assistance!